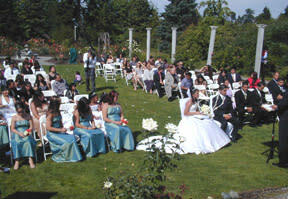 The Highline SeaTac Botanical Garden provides a lovely setting for a wedding ceremony, exclusively in the Rose Garden. 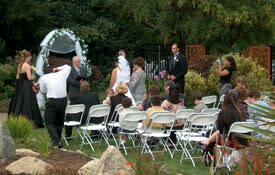 The Botanical Garden covers 10.5 acres of display gardens, woodlands, and trails reclaimed from a suburban brownfield. Highlights of the currently developed 3 acres include the new Sensory Garden, Seike Japanese Garden, and the Elda Behm’s Paradise Garden. 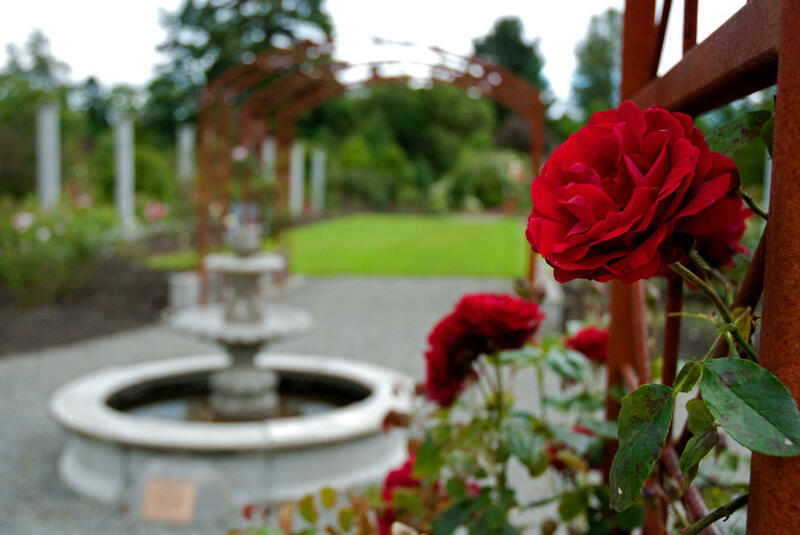 The display gardens were planted and is maintained by the Northwest Fuchsia Society, King County Iris Society, Puget Sound Daylily Club, Seattle Rose Society, and the City of SeaTac Parks Department. Description The Highline SeaTac Botanical Garden provides a lovely setting for a wedding ceremony. The Highline SeaTac Botanical Garden covers 10.5 acres of display gardens, woodlands, and trails reclaimed from a suburban brownfield. Highlights of the currently developed 3 acres include the new Sensory Garden.The Seike Japanese Garden, Elda Behm’s Paradise Garden and display gardens planted and maintained by the King County Iris Society, Puget Sound Daylily Club, Seattle Rose Society, and the City of SeaTac Parks Department.